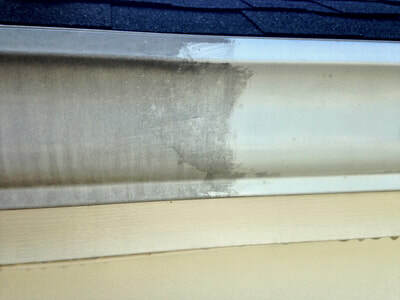 This the best way to remove mildew and those unsightly "zebra" stripes from your gutters. 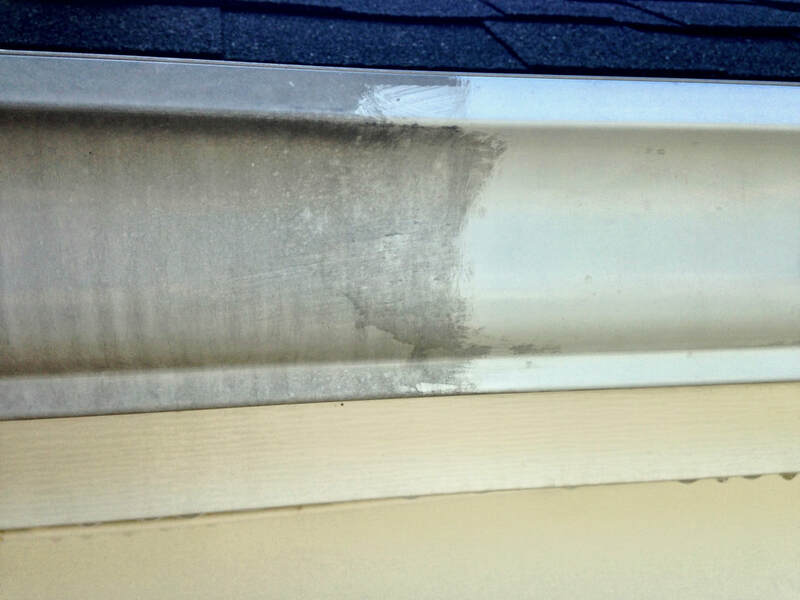 Acid stains and tar from the shingles can cause the home to look less than pristine. 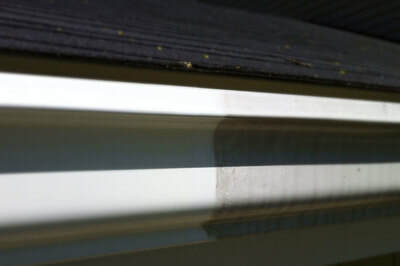 Painting over the stripes will only make them come back even quicker. 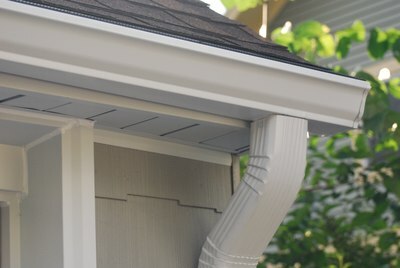 Polishing your gutters will restore your gutters to a like new state and save you thousands of dollars. You can be confident that our system is designed specifically for getting those nasty black streaks off the face of your gutters.